Laser-plasma based THz emitters offer broad radiation bandwidth, high output pulse energy and immunity to high power damage. Various excitation wavelengths and gases were explored to seek for a stronger THz wave emission from laser-induced plasmas, whereas few attempts were made for this purpose with artificially modulated exotic wave packets. The Foundation for Research and Technology – Hellas (FORTH), is one of the largest research centres in Greece. The Institute of Electronic Structure and Laser (IESL) is a well-established internationally-recognized research Institute of FORTH, conducting pioneering, both basic and applied, research in the fields of Laser Science, Micro/nano-electronics, Polymer Science, Materials Science and Astrophysics. It currently employs over 220 people, distributed into 2 divisions: Materials and Devices, and Lasers and Applications. In the latest evaluation by a panel of international reviewers it was ranked first among all research institutes in Greece in all disciplines. Since 1990, IESL-FORTH operates as a European Laser Research Infrastructure (LASERLAB-EUROPE). Moreover, in the last few years IESL has become member in three more EU RIs, in Soft-mater research, Laser-based technologies for Cultural Heritage, and Laser-based technologies for Nanoscience. Furthermore, the institute hosts many prestigious ERC projects, Marie-Curie, ITNs as well as industrial based EU research projects. 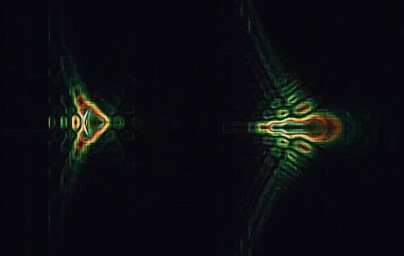 The UNIS group (http://unis.iesl.forth.gr) in IESL-FORTH, headed by Prof. S. Tzortzakis, is performing world-leading research in the nonlinear propagation of intense ultrashort laser pulses in transparent media and related filamentation processes, including secondary sources, mainly in the THz part of the spectrum. UNIS develops advanced experimental tools for the spatio-temporal monitoring of the interaction of the strong laser fields with the matter and ways to control the nonlinear propagation using « exotic » wave packets and photonic lattices. UNIS also develops strong field THz sources, either through tamed filamentation or using novel artificial materials like metamaterials and eutectics.